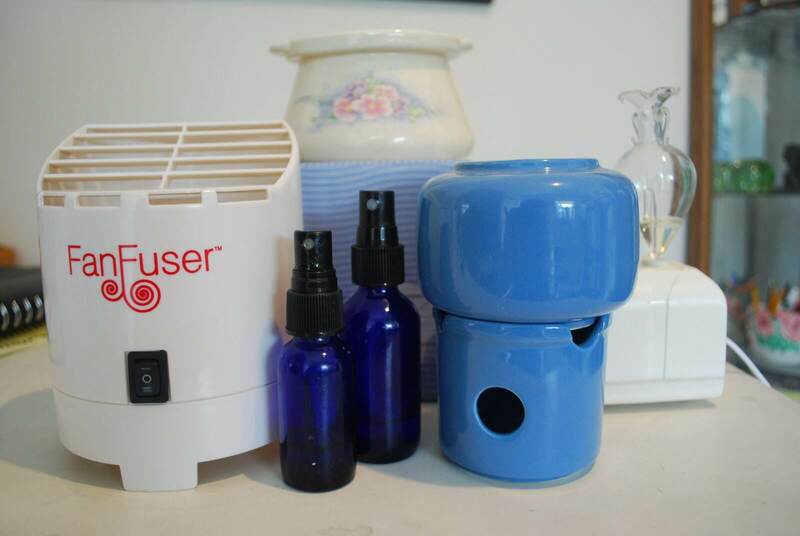 Diffusion is any method or device that disperses essential oil molecules into the air. It’s the most popular method of using essential oils. • offer better concentration at work or in school. Where Can You Diffuse Essential Oils? Everywhere! I diffuse essential oil at home, in the classroom, my massage room and car. During diffusion, only a small quantity of oil actually reaches the body, therefore it is relatively safe for everyone – even children. Just watch your choice of oils around children and the elderly as they are more vulnerable to the effects of essential oils. You can diffuse citrus oils safely around practically anyone. When in doubt, get a book on aromatherapy for children or send me an email and ask: liz@aromaticwisdom.com Be especially mindful when diffusing essential oils in public spaces like an office or waiting room since you are subjecting everyone else to aromas they may not want or appreciate. 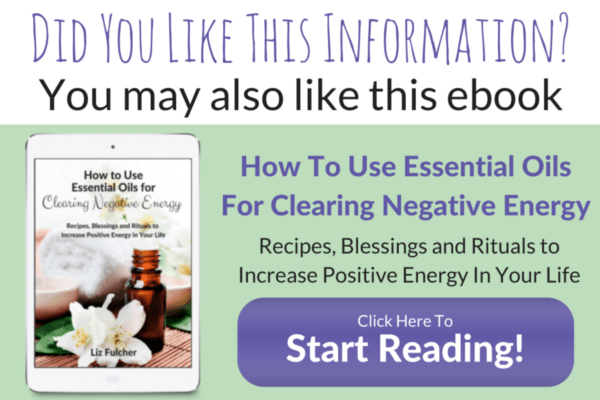 How Can you Diffuse Essential Oils? There are loads of ways to get those marvelous molecules in the air! From wafting a tissue under your nose to using a gorgeous ultrasonic mister. As far as which is the best, there are so many factors with regard to essential oil diffusion that it really comes down to personal choice and what works best for your situation. 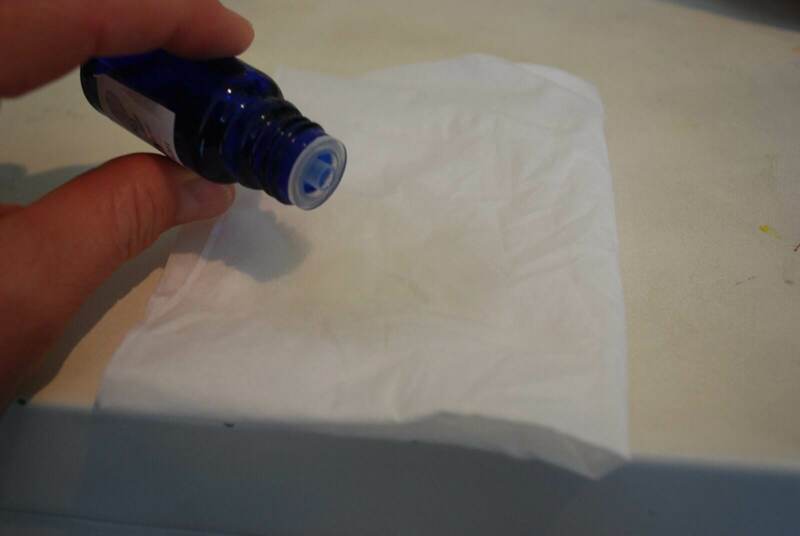 How it Works: Place 2-3 drops of essential oil on a tissue and keep it near you. Tuck in the vent of your car or simply hold close to your nose. Refresh with 1 drop every hour. Advantages: Costs little, requires no equipment and can be used anywhere, anytime. It’s a quick method to disperse aromatic molecules in your “personal space” like on a plane, bus or at your workplace desk. You can also stick a tissue into the vent of your car to keep you alert while driving. Disadvantages: Because essential oils have a high rate of evaporation, this method isn’t going to keep the aroma around long, and it won’t reach far. How it Works: A small ceramic or stone container is filled with water and heated by a tea lite candle (not votive). Add 6-10 drops of essential oil to the water (I add hot water to speed things up). 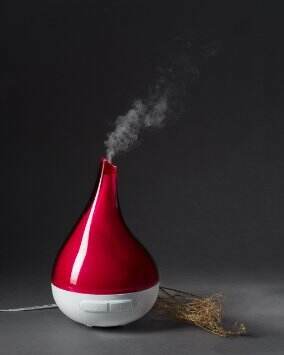 The aromatic vapors of the essential oils will be carried up into the air by the steam. Advantages: It’s easy, inexpensive and quiet. I have one in practically every room of my home. You can find lovely handmade artisan diffusers which tend to be expensive, or very affordable simple, yet functional models. 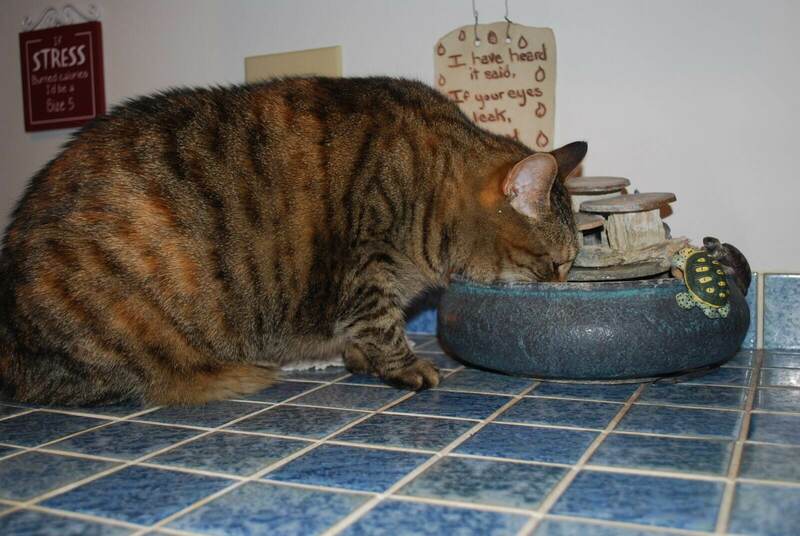 The important detail is the size of the cup that holds the water. It should be able to accommodate at least one cup of water. Disadvantages: They break. Mine are used pretty hard because I move them around the house or take them with me to classes. The water gets hot and this can be dangerous for kids or animals. You need to buy replacement candles. The heat may alter the oil somewhat, thought I’ve read conflicting reports on this. The aroma is strongest a few minutes after adding the oil so you’ll need to add fresh drops about every hour. How it Works: A nebulizer is an electric device that pumps air through a glass vial filled with oil. I consists of a plastic base (the pump) and a glass nebulizer that holds and sprays the oils out in a fine mist. They cover a large area and disperse the mist into the air evenly. Advantages: The nebulizer doesn’t alter the temperature of the oils. The molecules produced are tiny and find their way deeper into the lungs – better for addressing respiratory issues. Disadvantages: Cost. The better models include a timer, which I highly recommend and range from $50 upwards. The glass piece is breakable and can be difficult or expensive to replace. It uses up oils fast. You have to keep the glass vial clean by running alcohol through it once in awhile. Thick oils such as Sandalwood, Vetiver and Patchouli may clog the device. How it Works: Fill a spray bottle with distilled water then add essential oils. Use 5-6 drops for every ounce of water for a 1% dilution, 10-12 drops for 2% dilution and so on. Since essential oils vary in strength, you may want to try less at first. Advantages: A quick spritz into the air immediately masks odors, freshens a room and can be a great tool for energetic work. No heat, electricity or batteries required and it’s portable. Disadvantages: Glass bottles should be used if you’re going to store your blend in the bottle. Plastic is okay for short term storage, but over time will the essentials oil will deteriorate the plastic. 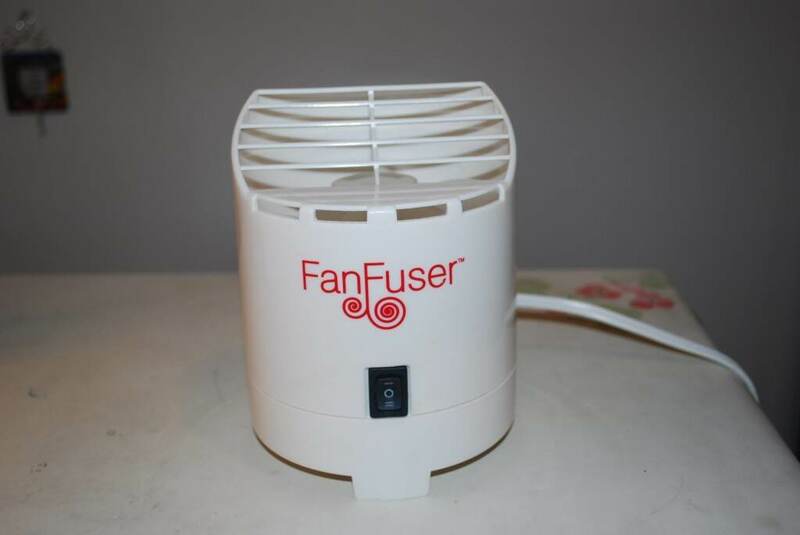 How it Works: Fan diffusers blow cool air across a disposable pad doused with 5-10 drops of oil. Cost is about $40. Advantages: Easy to use, require no candle or heat. Once in awhile I like to use mine next to my bed because the whir of the fan is relaxing. Disadvantages: The moving air evaporates the oils really fast, especially the lighter top notes like lemon and orange. In about 10 minutes they are gone. I only use this diffuser for the heavier base note oils like Patchouli, Sandalwood or Vetiver because they evaporate much slower. Most models require replacement pads. Some models can be noisy. Note how funky the pads get: they need to be replaced often and you’ll need a different pad for each oil. How it Works: This is pretty straight forward. You keep the oils close to your face and inhale the molecules as they evaporate. 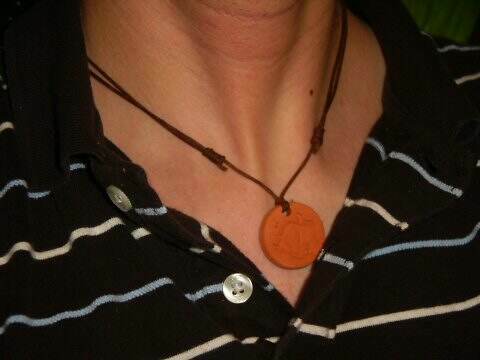 Advantages: Diffusers that you wear around your neck can be beautiful as well as functional. They are great if you want to emit a signature scent without putting it on your skin, or when you want to protect yourself from airborne bacteria or receive a specific therapeutic benefits from an essential oil without using equipment or vessels. Some are absolutely gorgeous and they make great gifts. Disadvantages: Like the tissue method above, the essential oils on the terracotta pendent will be strongest when the drops are fresh and may need to be freshened frequently. MY FAVORITE WAY TO DIFFUSE ESSENTIAL OILS!! 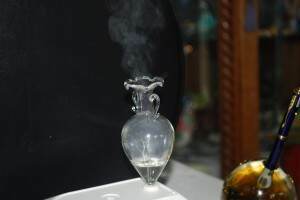 How it Works: Like the nebulizer, this bit of technology produces a cool, fine mist in which essential oils are broken into tiny particles and delivered into the air. 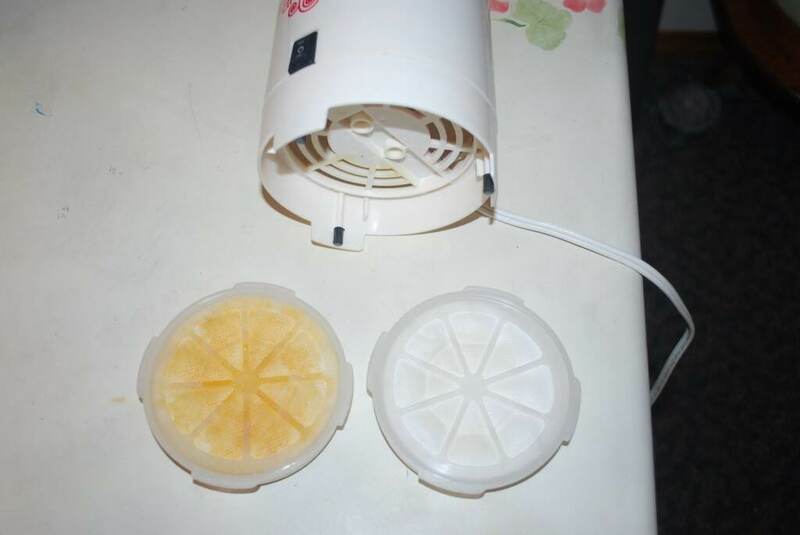 Advantages: Not much oil is needed, it’s super easy to use, easy to clean and no “special” water is needed. I have the model pictured above and really love it. It is light, easy to move from room to room and – the best part – doesn’t need much oil! Only about 1-5 drops of essential oil. Disadvantages: Some larger model aren’t whisper quiet. 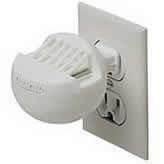 If you’re using this diffuser in a small space, it can be overpowering since there isn’t a way to adjust the mist output. It’s best to start with 1 drop and add more if you need to. Also best used with a plug in timer because it may go dry when you least expect it. One of my favorites to use and to give as a gift (it’s always a hit!) is the Ultrasonic Diffuser by Quooz that you see in red in the photograph to the right. It’s super quiet and absolutely gorgeous when the little light is turned on. It’s nice for a child’s bedroom. How they work: These plug into the wall or your car charger unit. They use low heat to evaporate the essential oils into the air. Add 1-2 drops of essential oil on the pads and that’s it. 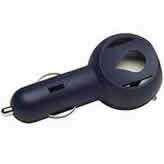 Advantages: Inexpensive, highly portable and easy to use. Disadvantages: You need to keep a supply of the tiny pads on hand when you want to change the aroma. In theory, the pads can be reused, but unless you’re using the same oil, there will be some residual aroma from the last oil used. before you put essential oils into your water fountains! This is fantastic information, Liz! I especially love the visuals with the thumbs up or thumbs down, LOL. It’s a very timely post for me too, because I actually just purchased a couple of car diffusers to test, and have been considering different ways of diffusing my blends in the house now that the kids are almost back to school and the dreaded cold-and-flu season is approaching. Great tips, thanks so much! 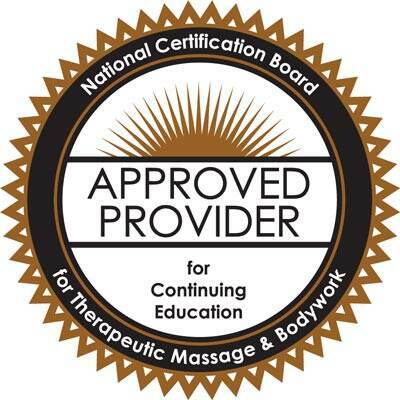 I love this information, and wish I would have had you for aromatherapy at school. I have a monthly special where the scent changes each month. I mix a certain number of drops with my massage cream and mix it together. I have two jars, one with the scent, one without. I was recently told at the same time that I shouldn’t do that because the lingering scent in the room could harm the next person coming in for a massage, is this true? I am careful about what scents I can use on certain people. I am confused. Great job! I really enjoying your article. Thank you so much for this information on diffusers! I am relatively new to essential oils and have been trying to figure out the most affordable, yet most effective way to diffuse oils in my home. This was so helpful! Everything is in one spot! Thank you so much for your article, it is very detail and helpful! I prefer the heat-based diffuser, especially the tea candle one, because it saves spaces and looks beautiful and vintage. I have not yet tried essential oils. I would like to get to sleep and stay asleep longer. I would like to know what is the best method for me. Any insights? This is great info, I like the way you have explained to your readers about the different diffusers…what is missing maybe is explaining to them hot to actually put the oils into the different diffusers and the amounts. but they can check that out from https://ameoessentialoils.co. Loved your post. But wondering if you can give me any idea on how to possibly make new pads for my diffuser? They are quite expensive to purchase. Hi Theresa, So glad you like the post and found it helpful 🙂 I assume you’re asking about refill pads for the fan diffuser? If so, I have two suggestions: 1) You can find them at a not-too-bad price here on Amazon https://amzn.to/29yqwcs 2) You can remove the cotton stuffing from inside the plastic frame and replace it with paper towels, bits of cotton or rags! As long as there is something to hold the essential oil and you can still get it closed, it doesn’t really matter what you use. Just remember to save the plastic frames! :Love your site and thank you very much for just the answer I was looking for. 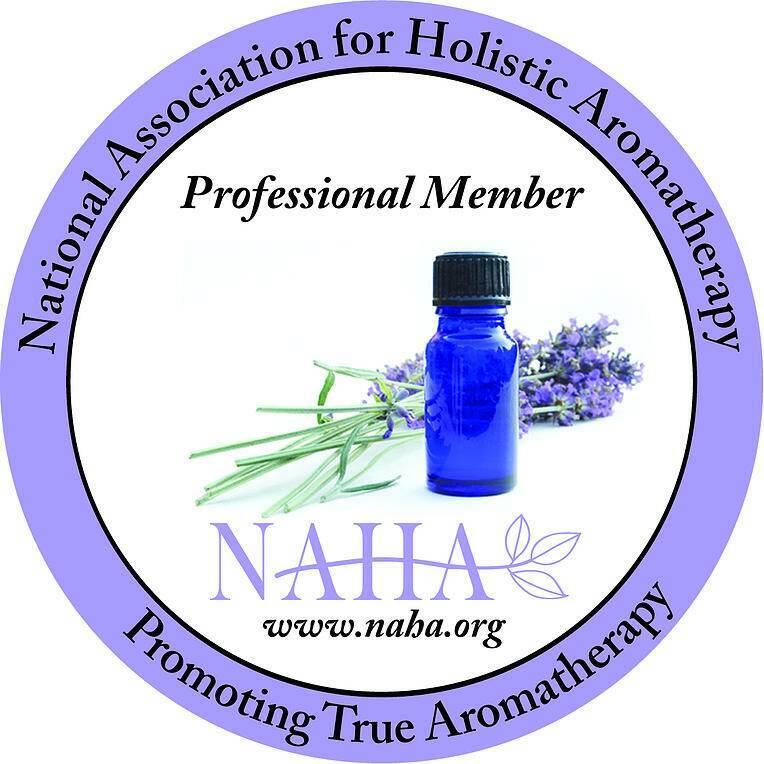 I am new to Aromatherapy so will be visiting you often. Thanks for these methods. Have used essential oils my entire life not even really realizing or knowing the benefits, my grandmother ran an extensive natural green house and made her own herbal tinctures and remedies as well as every kind of essential oil imaginable! Oh Melissa, what a lucky lady you are to have had a grandmother like yours! I’m sure she left you a life-changing legacy. She was really ahead of her time, wasn’t she? Thank you for sharing your story here. I have an ultrasonic diffuser which holds 6 cups of water! It is great because it will last thru two evenings of sleep. I have searched several times to make determine how many drops of essential oil should be used as I am not sure if using too much oil would create a health issue. I currently use 30 drops of essential oil each time I fill the water tank. Thank you!! Essential oils are little miracle workers and diffusing their aromas around home can work wonders for my families health. I think electric diffuses and vaporisers are the safest and most effective way to diffuse the scent of essential oils around home. Nice article 🙂 I’m surprised to see that Reed Diffusers didn’t make the list. Great question Cody. All the reed diffusers I’ve seen on the market use synthetic components for the fragrance and I do feel it’s a current fad. Nevertheless, I’ve experimented with a DIY natural reed diffuser with alcohol, water and essential oil and the effect with very mild. This is certainly a more healthy alternative to the synthetics but not terribly practical or efficient. Thanks for asking! Great that you’re writing about and popularize the idea, let everyone choose their favorite method. May i know by adding sandalwood essential oil into my indoor water fountain would it helps prevent mosquito breeding. I’m considering a diffuser/nebulizer that works in conjunction with my HVAC system. The machines are expensive and their “oils” are as well. Do you have any experience or recommendations regarding these devices?